So what does a smile sound like? 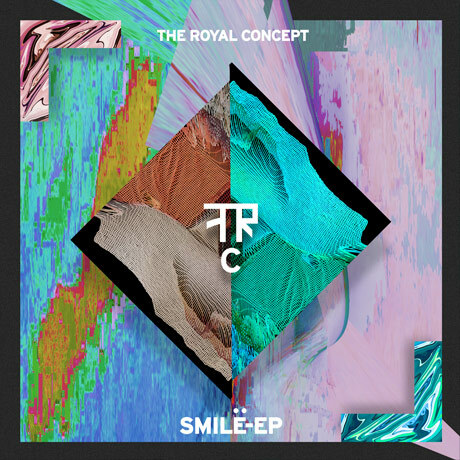 Well, given its sun-soaked flavor, upbeat swing, and uncontainable energy, The Royal Concept’s second EP, Smile [LAVA/Republic Records], could very well answer that. The Swedish quartet—David Larson [vocals], Filip Bekic [guitar], Magnus Robert [bass], and Frans Povel [drums]—first achieved worldwide attention with their viral hit “D-D-Dance.” In 2013, the track hit #2 on Hype Machine, while its follow-ups “Gimme Twice” and ”World on Fire” reached #3 and #1 respectively. LAVA signed the group and released their debut The Royal EP as the band crisscrossed the globe to play live shows in packed venues. Simultaneously, their hit single, “On Our Way” received high-profile placements everywhere from Glee and MTV’s Catfish to FIFA 14. Following that whirlwind, The Royal Concept returned home to Sweden ready and eager to do it all again. With a new batch of tunes, they traded Sweden’s snow for Los Angeles’s sun and entered the studio with producer Tony Hoffer [M83, Phoenix, Depeche Mode, The Kooks]. 12 days later they emerged with the EP, Smile. © 2019 Republic Records a Division of UMG Recordings Inc.